The Take A Stitch Tuesday stitch for week 9 was the Couching stitch. 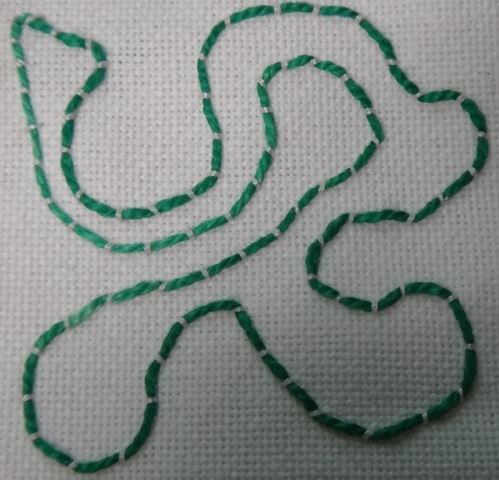 I enjoyed this stitch. 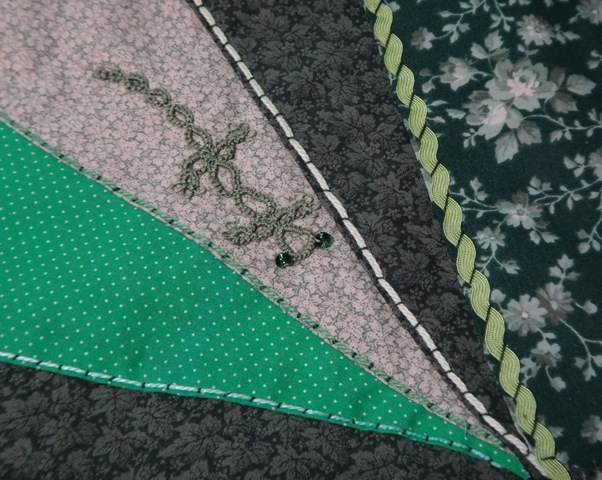 On the first quarter of my Crazy Quilt Journal Project I used the Couching stitch to attach one and two pieces of craft thread with embroidery floss. I also attached rickrack in the same way. Lastly I added a tatted lizard to my block. 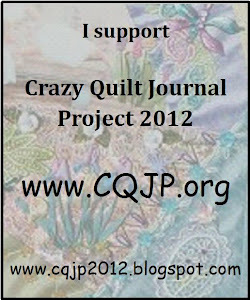 I am excited to be working on my third CQJP block! This entry was posted in Couching, CQJP, Embroidery, Tatting. Bookmark the permalink.